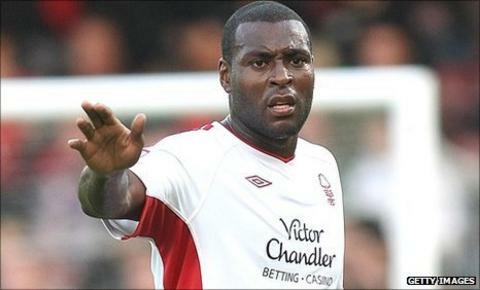 Leicester City have completed the signing of Nottingham Forest defender Wes Morgan for an undisclosed fee, believed to be about £1m. The 27-year-old, who was out of contract at the end of the season, has signed a two-and-a-half year deal. Morgan is City boss Nigel Pearson's third signing of the January transfer window following the arrivals of Danny Drinkwater and Nathan Delfouneso. City Ground youth team product Morgan had played 408 games for Forest. Forest manager Steve Cotterill had been keen to keep the club's longest-serving player. However, the Foxes had their third offer accepted. Morgan, who joined Forest as a 15-year-old, was part of the Reds' first team set-up for eight and a half years. The 27-year-old had a brief loan spell with non-league Kidderminster before making his Forest first team debut in August 2003, when aged 19. He played a key role in Forest's promotion from League One in 2008 and was named in the 2010-11 PFA Championship Team of the Year when Forest reached the play-offs.